This is an Insecure Writer’s Support Group post. 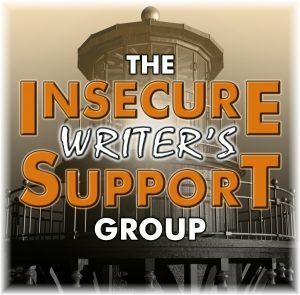 The group is all about no judgment, secure support for every writer. We post once a month and reach out to each other for support, tips, ideas, encouragement, and occasional lists. It’s the most wonderful time of the year, every month. Come join! This month’s co-hosts are JH Moncrieff, Tonja Drecker, Patsy Collins, and Chrys Fey! They deserve a big, virtual thank you so don’t forget to stop by and say it. This month, IWSG wants to know what five fun objects they’d find in my writing space. I’m so glad you asked, guys. First of all and all of first there will always be a keyboard attached to some sort of word program. My handwriting is atrociously bad, so keyboards are a necessity made up of all good things in the world. A mug full of tears. The traditional beverage is reader’s tears but let’s face it, I don’t have that many readers and I’m not writing a genre that includes a lot of deaths. So the tears are of frustration and are my own. I also drink hot tea and coffee. A small, suspiciously smelly, sticky, tiny human. Yes, he’s mine and it’s my own fault anyway. When I sit down he takes it as an invitation to sit on my lap and generally get in the way of my typing. His older sister gets in my writing space after school, while the tween just can’t be arsed. Two out of three isn’t too hard on my writing time. Ideas tend to land on me, wham, right in the middle of writing something else. So I have handy bits of paper and a pen in the desk under the computer to take notes. Are they organized into some kind of coherent fashion that would make it easier to find them later? Do I feed them to the desk tribbles? Who knows? Before I joined Bookstagram I had no idea there were such things as candles themed around books. Now I know, and now I am addicted. There is so much creativity behind all the different ideas and scents. In the Wick of Time has a Hufflepuff candle that somehow, magically, smells like honey pastries. Novelly Yours has a candle called “world building” that smells like fresh air, grassy meadows, and the ocean. I now like to have a candle burning while I write because, well, it’s a candle. Based on bookworm-ish things. And they smell good. And I love them. I’ve turned scented candles into a ritual for my writing too, except mine are seasonal. Sweet Cinnamon Pumpkin for fall, etc. They’re fun. Thanks for the fun peek at your office. I love your sense of humour. 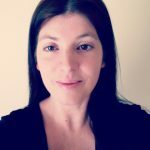 And thanks for visiting my blog this month! Seasonal scents are awesome. Mmmm, pumpkin. So glad I’m not the only one who likes candles! Kids are amazing…uhhh…writing helpers! Enjoyed reading this. And may that cup someday hold readers’ tears! I wonder what a Slytherin candle smells like? You’re a riot. Thanks for the giggles and the candle tips. Happy holidays.